TEA New York City Ugly Holiday Sweater Party! 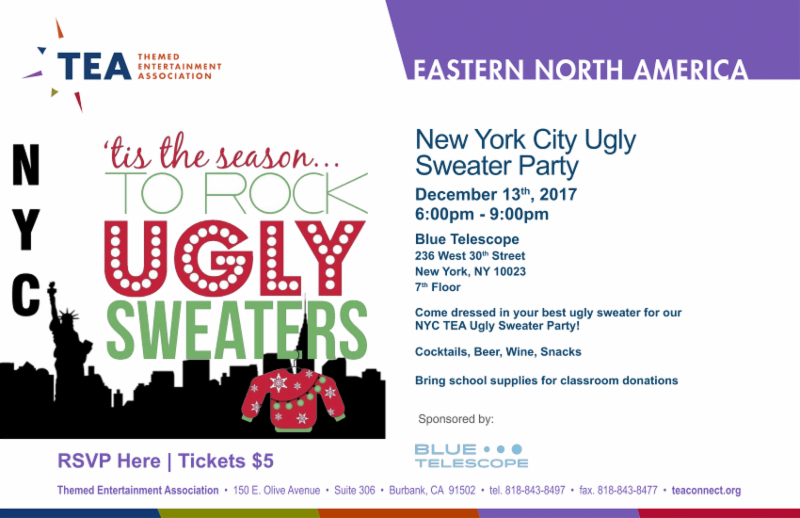 Come dressed in your best ugly sweater for our NYC TEA Ugly Sweater Party! Enjoy Cocktails, Beer, Wine, Snacks with other TEA members. Bring school supplies for classroom donations.